The need: The long term success of dairy farm businesses is highly dependent on the people on farm: attracting and keeping the right people, having the right roles to enable the business to maintain or grow, achieving a good work-life balance, complying with legal requirements etc. There are significant opportunities for advisers to help farmers achieve this but (in 2008) few were skilled or confident to do so. What we did: The Harris Park Group developed and delivered the diploma course through the National Centre of Dairy Education as one of the components of Dairy Australia’s The People in Dairy program. This included creating the course materials for trainers and participants (including the instructional design, video, case studies, and workplace activities), and managing the training team from 2008-2012. Almost 120 people completed the Diploma over the five years. The course blends the conceptual framework of The People in Dairy with units on human resource management, using dairy industry case studies for context and relevance. The topics include recruitment, selection, induction processes, Industrial Relations, remuneration, performance management, separation/ termination, teamwork and succession planning. 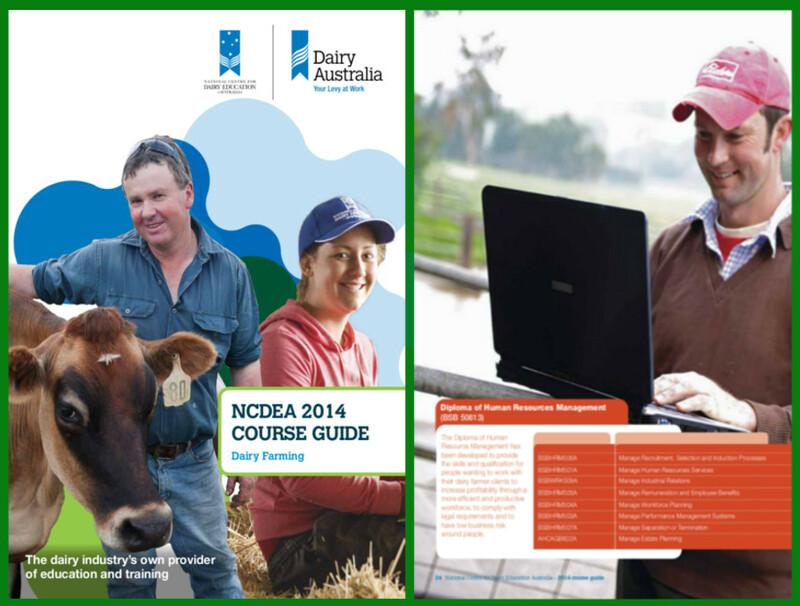 The People in Dairy website is the core resource for the course.